BOCA RATON – Copiah-Lincoln Community College wide receiver Nero Nelson watched Tuesday night’s FAU blow out of Akron in the Boca Raton Bowl with great anticipation, dreaming about what he could accomplish in the Owls’ offense. A few hours later he became an Owl. Wednesday morning Nelson became one of five recruits to sign with FAU during the opening of the early signing period, the first such period in NCAA football history. Nelson is a playmaker similar to, although bigger than, former Owl Lucky Whitehead. A former Mississippi St. commit, Nelson can play the slot, wide out, and return both punts and kicks. “He’s kind of an electric guy when he gets the ball in his hands,” Copiah-Lincoln coach Glen Davis said. So is College of the Canyons wide receiver Desean Holmes. A former USC commit out of high school, Holmes can play the slot or wide while also being a presence in the return game. “Pretty much find a mismatch and breaking them down from there,” Holmes said. The wide receiver position is a priority for FAU. Starters Kalib Woods and Kamrin Solomon both exhausted their eligibility in Wednesday’s Boca Bowl win. 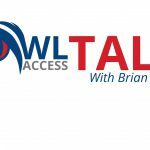 The Owls also lose slot receiver Henry Bussey and wideout Nate Terry. FAU added one more junior college player in defensive tackle Charles Cameron. Unlike Nelson, his teammate at Copiah-Lincoln, Cameron expects to arrive at FAU in January and participate in spring football. FAU also signed two Orlando-area high school lineman. Delvin Hayes, a former North Carolina St. commit from Orlando-Jones can play either offensive tackle or defensive end. He planned to begin his career on the offensive side of the ball, where the Owls lose three senior starters to graduation. It is uncertain how the loss of offensive line coach Garin Justice will affect that decision. Justice announced he was leaving FAU for the same position at Arizona shortly after the Boca Bowl. “I feel like the program is a rising program – how Lane Kiffin changed the program in one year,” Hayes said. Winter Garden-West Orange defensive end Franklin “Tre” Jackson used a blend of power and speed to record a dozen sacks during his senior season. Maryland, Appalachian St. and Air Force all pursued Jackson, but FAU started recruiting him in the spring and made a lasting impression. “They never left my mind,” Jackson said. 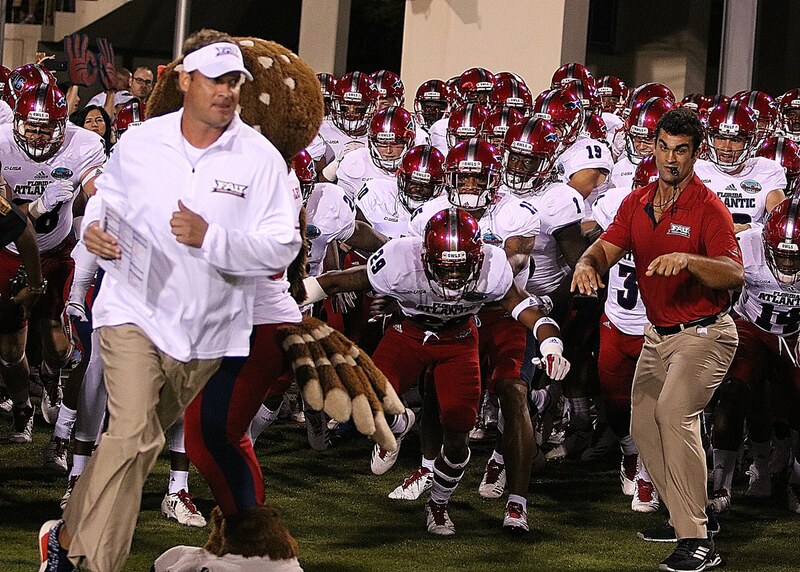 FAU’s early signing class could continue to grow in the next few hours. 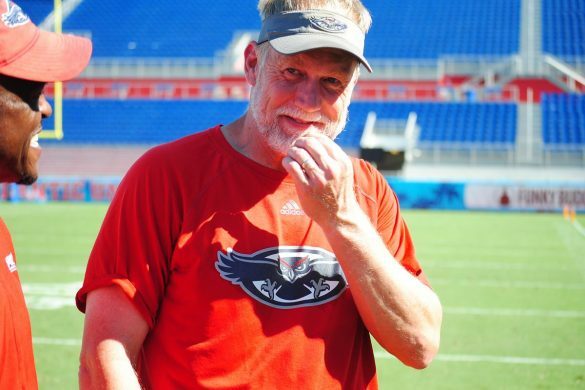 Trinity Valley defensive lineman O’Shea Jackson committed to FAU earlier in the month and his coaches expected him to sign with the Owls on Wednesday, but the Owls have yet to receive his NLI. When FAU officially announces its 2018 recruiting class it will likely include two players already on campus. Former Oklahoma quarterback Chris Robison and former West Virginia wide receiver Jovon Durante transferred to FAU during fall camp. The Owls are also expecting two members of the 2017 signing class to arrive in January: defensive back Jovon Burriss and linebacker Carson Lydon – both junior college transfers who needed to complete academic requirements during the fall. 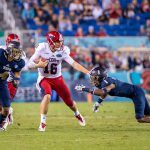 FAU should have room to sign about 22 players as part of its 2018 signing class. The current early signing period runs through Friday for high school players and into January for junior college mid-year transfers. The remainder of the class will likely sign on National Signing Day, Feb. 7.